Thank you for visiting another one of Serra Toyota of Decatur's online listings! 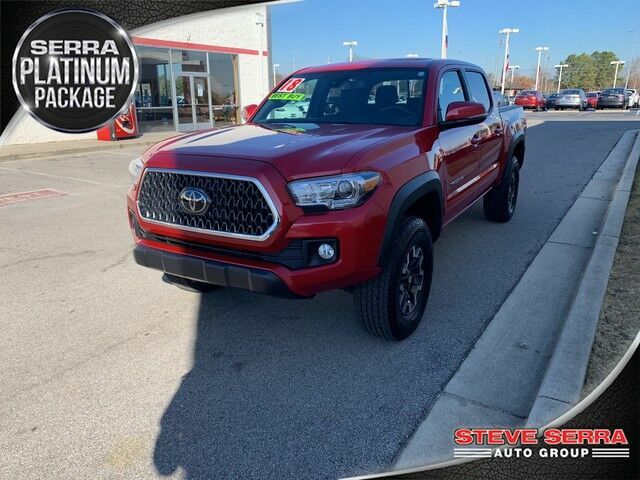 Please continue for more information on this 2018 Toyota Tacoma SR5 with 13,168mi. There is no reason why you shouldn't buy this Toyota Tacoma SR5. It is incomparable for the price and quality. This is about the time when you're saying it is too good to be true, and let us be the one's to tell you, it is absolutely true. The quintessential Toyota -- This Toyota Tacoma SR5 speaks volumes about its owner, about uncompromising individuality, a passion for driving and standards far above the ordinary. The Toyota Tacoma SR5 will provide you with everything you have always wanted in a car -- Quality, Reliability, and Character.